Quality, quick and affordable septic system repair in and around Branchburg, New Jersey. Functional and Safe Septic Systems are critical to homeowners and businesses alike. You not only want quality, professional septic repair, it must be done right the first time. Hercules Septic/Sewer Services provides Branchburg, NJ with timely, accurate repair to septic tanks, septic systems, and and sewage handling systems. 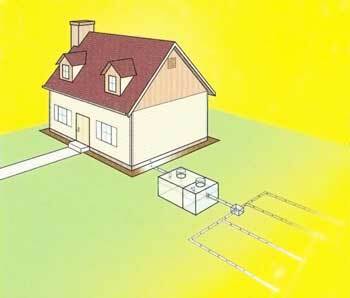 Don’t wait for a septic problem – address potential problems before they become emergencies. Hercules Septic / Sewer Services not only offers free estimates, but our trained technicians will provide honest, professional advice on the best course of action. Keep records of your system maintenance. Leaks are located and fixed; cracked and broken lines are replaced; damaged baffles are repaired or replaced. Hercules identifies and diagnoses damaged sewer lines caused by root or groundwater infiltration as well as corroded, cracked or displaced pipes, leaky joints, and blockage. We pinpoint the location of problem areas and repair or replace damaged segments without excavating the entire line. We replace obsolete cast iron, clay and asbestos lines. We offer a wide range of excavation services, Our expert machine operators do the work that needs to be done without unnecessarily disturbing your lawn and landscaping. Avoid compacting soil around the septic system. Do not park or drive cars 0r heavy equipment over the area. We are #1 in the #2 business!